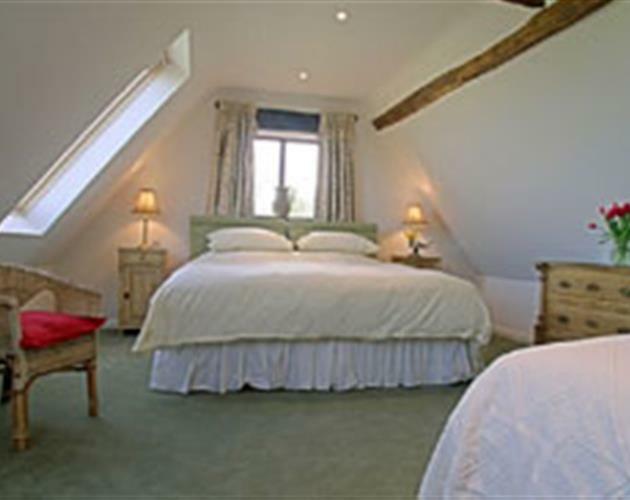 Situated in the heart of the Cotswolds, Sheepscombe House offers Bed & Breakfast and genuine country hospitality. The house and gardens are surrounded by beautiful countryside with spectacular views over several counties. 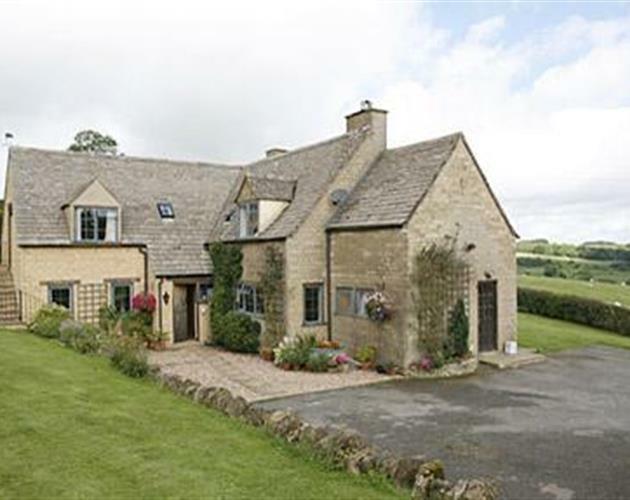 Sheepscombe House is located three miles above Broadway, on the edge of the picturesque village of Snowshill. It is an excellent base from which to tour The Cotswolds, Oxford, and Stratford upon Avon. The accommodation is warm and comfortable and has recently been decorated and refurbished. All rooms have TV, hair dryers, clock radios and tea and coffee making facilities. At Sheepscombe House we serve " A Cotswold Breakfast" to order, using local produce and suppliers, including freshly laid eggs from our own hens. The Byre is a superior, newly furnished, self-contained suite comprising a kitchenette and sitting area, and a comfortable family sized bedroom with en-suite shower room. 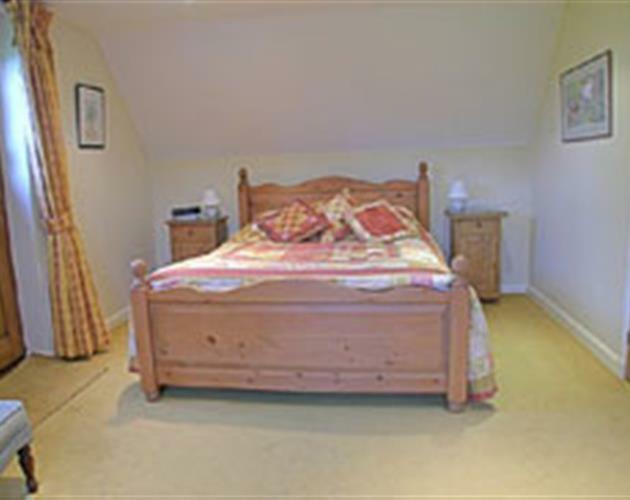 It has oak beams, a 6ft double bed (which can be made into twin 3ft beds) and a further 3 ft single bed. The Byre has wonderful views down the Snowshill valley, you can even lie in bed with your morning cup of tea watching the sheep graze! Price from £95 per room per night based on 2 guests. The Byre is also available for longer term lets as a self-catering suite. Price on application. The Granary Room has it's own separate entrance and is furnished with antique pine and a king size bed with en-suite shower room. Price from £90 per room per night based on 2 guests. In The Main House there is a pretty twin or double room with a private bathroom. Price from £90 per room per night based on 2 guests. We accept the following credit/debit cards : Mastercard, Visa, Switch, Maestro, Solo, JCB. Unfortunately we need to add a surcharge of 2% to all credit card transactions, there will be no charge on debit card transactions. The garden has wonderful open views across the hillsides and into the vale. There is ample car parking beside the house.